Beggars All: Reformation And Apologetics: Jonathan Edwards vs. John Calvin: Got Assurance? Jonathan Edwards vs. John Calvin: Got Assurance? While I have a deep respect for Jonathan Edwards, I've never been a big fan. This doesn't mean I lack the ability to find value in the treatises Edwards wrote. I simply don't enjoy reading Edwards. I never have. I think one need only attempt to read 10 pages of his The Freedom of the Will to find out if you really enjoy Edwards or if you're simply parroting back Reformed-speak on how great he was. You may think he's great, but thinking it and actually being able to read Edwards are two very different things. While Edwards is most certainly Reformed, he, in my opinion, reads much differently than John Calvin. Yes, I know- two different centuries, two different countries, so of course they read differently. When I read Calvin though, I'm often comforted. When I read Edwards (or many of the Puritans) , I'm often disheartened and feel burdened by my own shortcomings and failures. I've often wondered why this is. I'm sure someone has done compare / contrast work on Calvin and Edwards. A few weeks ago I actually attempted to ask about this sort of study on the Puritan Board, and didn't get any nibbles. I'm not the sort of person who enjoys reinventing the wheel. I'm sure there are studies of this sort of thing out there somewhere, I just haven't looked hard enough. Perhaps the information I'm looking for is actually in a book in my own library and I don't even realize it. What follows is my own opinion as to what the difference smells like to me. Here, indeed, is the chief hinge on which faith turns: that we do not regard the promises of mercy that God offers as true only outside ourselves, but not at all in us; rather that we make them ours by inwardly embracing them. Hence, at last is born that confidence which Paul elsewhere calls “peace” [Romans 5:1], unless someone may prefer to derive peace from it. Now it is an assurance that renders the conscience calm and peaceful before God’s judgment. Without it the conscience must be harried by disturbed alarm, and almost torn to pieces; unless perhaps, forgetting God and self, it for the moment sleeps. And truly for the moment, for it does not long enjoy that miserable forgetfulness without the memory of divine judgment repeatedly coming back and very violently rending it. Briefly, he alone is truly a believer who, convinced by a firm conviction that God is a kindly, and well-disposed Father toward him, promises himself all things on the basis of his generosity; who, relying upon the promises of divine benevolence toward him, lays hold on an undoubted expectation of salvation. As the apostle points out in these words: “If we hold our confidence and glorying in hope, firm even to the end” Hebrews 3:7, cf. Vg.]. Thus, he considers that no one hopes well in the Lord except him who confidently glories in the inheritance of the Heavenly Kingdom. No man is a believer, I say, except him who, leaning upon the assurance of his salvation, confidently triumphs over the devil and death; as we are taught from that masterly summation of Paul: I have confessed that “neither death nor life, nor angels, nor principalities, nor powers, nor things present, nor things to come…can separate us from the love of God which embraces us in Christ Jesus”. Thus, in the same manner, the apostle does not consider the eyes of our minds well illumined, except as we discern what the hope of the eternal inheritance is to which we have been called [Ephesians 1:18]. And everywhere he so teaches as to intimate that we cannot otherwise well comprehend the goodness of God unless we gather from it the fruit of great assurance." Now I don't have any particular primary texts from the pen of Edwards to contrast this to. I'm not that well-read in Edwards. 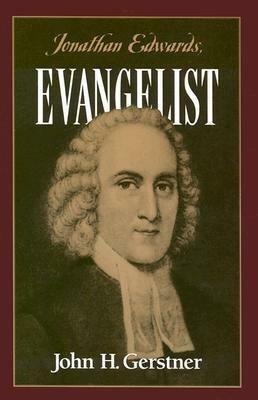 One particular book that really helped me understand Edwards was, John H. Gerstner, Jonathan Edwards, Evangelist (PA: Soli Deo Gloria Publications, 1995, reprint). I highly recommend this readable overview of the basic soteriology of Edwards.From looking back over my Gerstner text, the notion of assurance in the theology of Edwards seems to be a different sort of cat than what Calvin was writing about. According to Gerstner, for Edwards there needed to be signs or "distinguishing marks" of regeneration in order to have assurance (p. 166). Gerstner quotes Edwards saying, "Assurance is not to be obtained so much by self-examination as by action" (p. 167). Edwards, held very few people would actually be saved (p. 161). He was concerned that those who claimed to be Christians gave actual proof of their regeneration by good works. Gerstner states, "The difficulty is in detecting such signs [of spiritual conversion]. Edwards, having taught its possibility, urged the saints to get assurance. However, he raised so many problems that it became a byword that very few of his closest followers, if any, ever got it it." I'm sure Edwards and Calvin overlap in regard to this subject. Maybe I'm nitpicking, or simply don't understand the issues and the writers involved. Obviously, Calvin was concerned with good works flowing out of a regenerate heart (as was Luther). But if I'm going to look at my life to gain assurance of true faith, I'm one of those types of people that sees the perfect glorious righteousness of Christ, and then I compare that to my feeble steps of righteousness. R.C. Sproul has stated something like, "We're closer to Hitler in our sanctification than we are to Christ." This statement isn't meant to devalue the work of the Holy Spirit in our lives- it's to point out just how incredible and holy the righteousness of Christ actually is. Sproul is right. I'm closer to Hitler. If I'm going to follow the paradigm of Edwards as honestly as possible, I'll never arrive at assurance, ever. A.True faith is not only a certain knowledge, whereby I hold for truth all that God has revealed to us in his word, but also an assured confidence, which the Holy Ghost works by the gospel in my heart; that not only to others, but to me also, remission of sin, everlasting righteousness and salvation, are freely given by God, merely of grace, only for the sake of Christ's merits. I think these two catechism statements aptly show the difference between John Calvin and Jonathan Edwards. 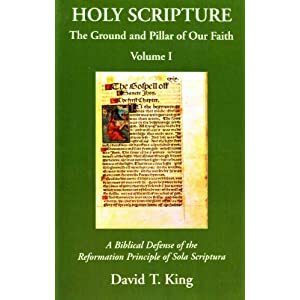 John Calvin's influence is certainly behind the Heidelberg Catechism. While Edwards was ecclesiastically Congregational, I've read he was content with the content of the Westminster standards, and, of course, the Puritans were behind the Westminster formulation. In church one time I was brought into a discussion between two brothers in a heated discussion. I don't recall the topic. They asked me my opinion, and I simply stated something like, "I don't know guys... I'm more of a law and gospel sort of guy." In other words, I really didn't care what they were talking about. One of the guys, a big fan of the Puritans, said in reply, "You've got that wrong: it's law, Gospel, law." Ah, but the very confessional standard my church uses, the Heidelberg Catechism, is set up in three parts: law, Gospel.... gratitude." There it is again: the difference between faith as described by the Westminster Larger Catechism vs. the Heidelberg Catechism. It's the difference as to what belongs to the essence of faith. Hi James - I'm a PCA pastor and I find that Edwards is revered amongst most in my denomination and amongst most of those I hang out with. I have soured on Edwards of late for reasons much like you are getting at. For one, I've read a good deal of Luther and have gotten a better handle on the whole law-gospel thing. With that it seems to me that Edwards adds a new layer of law to things with his religious affections. I wasn't aware of Gerstner's comments about him but I think what you have here pretty much nails it - Edwards makes assurance pretty near impossible. Whereas Luther and Calvin had us turn outward to look upon Christ for assurance, Edwards has us turn inwards. I am hoping that some bigger names in the Reformed world will speak out on this but as it is pretty much everyone reveres Edwards. For your quest to find other writings on this you could check out Paul Helm's blog, I think it's called "Helm's Deep." He wrote some trenchant criticisms of Edwards a few months ago. Also, the book Recovering the Reformed Confession by Scott Clark has some well placed criticisms of Edwards. Pretty much everyone in the PCA doesn't like Scott Clark but I think he's right on in his criticisms of Edwards. I think the toughest sell in reassessing Edwards in our day is going to be the momentum that John Piper has generated for him. Piper is the leading light of the "young restless and reformed," and he basically channels Edwards in all he does, and I think that is unfortunate. Anyway, this comment is too long, but it was great to read a kindred spirit. As I have moved away from Edwards to Luther I have found, paradoxically, a sweeter experience of the gospel as I have learned to look outside of myself to the cross. I am familiar with Paul Helm. I have at least one of his books, and I do check his blog from time to time. I do recall that book by Scott Clark. Clark, is URCNA as I am. I will revisit those sources, time allowing. I don't want to give off any sort of impression that I have any sort of disrespect for Edwards. I've had a seminary-level class on him, and I've found insight in his writings (those I could actually comprehend). I apply the same principle in reading Edwards as I would to any extra-Biblical writer: chew the meat and spit out the bones. On the other hand, it certainly is true that my readings of Luther over the past 10 years or so have deeply influenced me. I've most appreciated his sermons that present Christ to a weary sinner. That's the aspect of the Gospel message that I never tire of hearing. Each week is always a battle against the world, the flesh, and the Devil. What I need to hear on Sunday is that despite my failures during the battle, Christ is still victorious and has saved me. Yeah, my comment was probably a little harsh - I agree we shouldn't throw Edwards under the bus completely, he truly is not only one of America's great theologians but one of the great intellects, period. But I do think a little more critical engagement with him is warranted. On a side note - are you familiar with Darryl Hart's blog - Old Life. Hart is quite the curmudgeon, constantly taking Edwards to task. I almost always agree with Hart over Edwards, but he gets some Edwards' defenders in his comments and they do provide a healthy balance. Last week I was reading one of the comments and a guy quoted a passage out of Edwards that was very in line with what you quoted from Calvin. Edwards was arguing that, for assurance we must look outwardly, not inwardly. Hart seemed to counter that such a comment is inconsistent Edwards larger body of work, particularly in the Religious Affections. All in all I think we presbies can certainly appropriate Edwards in many ways, but we need to be a bit more critical in our appreciation of him - and it would be helpful if we brought Luther's spirituality into more of these discussions. Thanks again for your time and God bless. Thanks for sharing this thought. Btw is this related to the current Escondido controversy too? The 2 strands of Reformed - the Puritan and Continental divide? On a side note - are you familiar with Darryl Hart's blog - Old Life. Hart is quite the curmudgeon, constantly taking Edwards to task. I am only familiar with him via my friend TurretinFan and his reviews of the recent Frame vs. Westminster affair. I have not read Frame's book. I have it on order, so I should get it within the next week or so. With my schedule the way it is, I probably won't get to read it anyhow. I would say it probably plays in, in a sense, but I would hope to treat my Calvin / Edwards post separately. I'm asking historical questions here. "Horton promotes a redemptive-historical model of preaching that some would classify as a monoredemptive-historical homiletic. Yet, as Sandlin points out, the NT has examples of exemplary exegesis, calling the reader to positively imitate OT saints, etc." I have sat through a number of sermons in which the proclamation "try harder" was sprinkled with a touch of Gospel. I don't have a problem with exhortation in application in sermons. As long as it's balanced with Gospel, I'm happy. There have been times though in which I've sat through sermons in which I felt like: I beat myself up all week for sin, now I'm getting beat up at a church service for my sin. Depending on what church I'm at, I've been known to keep a scorecard with two categories: Law / Gospel. I'll make check-marks as I hear what's being preached. There have been times in which the Gospel category has very few checks. While I have a deep respect for Jonathan Edwards, I've never been a big fan. Same here and while I respect him, I respectfully disagree. I almost always side with the Bayly Brothers and TurretinFan over Darryl Hart. I don't really know anything about the Bayly Brothers and not all that much about Hart, other than what Tfan has posted. At my church, our elders seem to like both Edwards and Calvin. But more Edwards tempered by Calvin. I've often heard preached from the pulpit that in God's discipline, we may for a time have a degree of assurance removed from us if we fall into a particular rebellious sin. However, the comfort of assurance and God's gracious provision is again and again preached on and I've both been much convicted and much comforted. Reading this I can see elements of both. And all I can say is: it isn't easy being a Christian. It was easier being an unbeliever. But I wouldn't go back just b/c it was easier. And by God's grace I never will. Much of Edwards is more myth than reality. I have heard the Associate Pastor at my church talk about the reaction to Edwards' preaching as being surrounded with miraculous happenings. Historically, this is just grossly inaccurate. Edwards was smack dap in the middle of the most egregious elements within the First Great Awakening. He presided over a communion of recent converts numbering over 140 whom were never vetted as to their conversion. The sermon, "Sinners in the Hands of an Angry God" is written about as if it and the reaction to it was a spontaneous outpouring or relgious affections. Recent historical evidence shows this simply was not the case. The sermon was written explicitly to bring about the response it garnered and Edwards himself presided over a meeting just afterward that would today be most characteristic of a pentecostal revival. Edwards realized latter how far afield he had gone and attempted to salvage both his reputation and legacy and apparently did so successfully. The real result of the First Great Awakening was the growth in both numbers and moralism of the Baptist South or in other words, the Bible Belt. The numbers of Christian "converts" in New England settled back down to preAwakening numbers after the 1850s showing no net gain. Perhaps you can tell I'm no fan of Edwards revivalism or pietism. What you are referring to is known as Puritan Preparationism. It's a tweak on Calvin's doctrine of assurance that actually coincides with Trent and so is Roman Catholic at it's core, under the guise of Reformed Doctrine. The last attempt to defend Calvin's view of assurance before Owen and Perkins, Edwards and the rest dissented was by a group known as the"Marrow Brethren", their name stemmed from the last published work defending Calvin's position "The Marrow of Modern Divinity". N.I. Sasser has written a lengthy paper on the subject, which seeks to prove that Edwards was a "preparationist". Another helpful work is a free PDF download by A.N.S. Lane entitled "Calvin On Assurance". Calvin's doctrine of double assurance is interesting. What is common today among the Young, Restless, Reformed is, I think, a wrong view of holiness in the Christian life and this stems from new converts to Calvinism being brought immediately under the influence of Edwards and Owen and, ironically, not pursuing to know Calvin's writings with the same veracity. The more I read on the subject I am convinced that this Preparationism and tweak on the Biblical doctrine of assurance is the great error of Puritan Calvinism. It was a strict adherence to Edwards that got me interested in the subject because he had me so discouraged and full of doubt that I could not see any other way out except that he was wrong. For me, assurance is the essence of faith and is never about the strength of one's faith but about the strength of its Object: Christ. (This is no excuse for the antinomian in James 2, antinomianism is the real culprit). Sasser, in his paper, actually links the suicide of Edwards' Uncle (and subsequent suicides in his community) to the sermons Edwards preached up until that point. What is espoused today, many unaware, is what I am calling "soft-preparationism". It is, I think, satan's attack upon the resurgence of the awareness of the doctrines of grace. It is the inverse of legalism under the guise of repentance and undermines the finished work of Christ. With that said, I am with you... I greatly respect Edwards but agree to disagree. For me, assurance is the essence of faith and is never about the strength of one's faith but about the strength of its Object: Christ. I also think that a further scrutiny of Calvin's doctrine of repentance has a tint of Romanism in it. I can not go into detail at the moment but it made me uneasy with it. I have found Edward's sermon - Sinners in the hands of a Angry God - full of Law but no Gospel. From my perspective as a Lutheran, that is a no no. Hey brothers and sisters. Please Google "Nathan Sasser, Puritans and Reformers on Faith and assurance". This man wrote an essay on this very thing. I found it while I had the same questions. To sum it up, the reformers and Edwards had profoundly different views on the nature of saving faith and the assurance that follows. This is probably not talked about much today, but it's only a matter of time until it comes out in more detail. I would advise though, as we wrestle through these things, to keep our Bibles close. The Holy Spirit will guide us as we seek Him. For every page of extra-biblical literature we read, let's read two of scripture, and pray along with it. The differences I have discovered are much bigger than I think they even knew. As for Piper, if you listen carefully, you will find that he unwittingly holds both views, as many newer reformed evangelicals do. No disrespect intended, but half the time, I doubt they even know that they are saying two opposite things. And can we blame them? Maybe, haha, but they are busy men who are pastoring souls, and don't have as much time to read as one would think. Let's pray that as these differnces come out in the next decade, we hold fast to Christ, and love one another. As Paul instructs us in 1 Corinthians, let's not follow one teacher or another. This is so tempting, especially when we are concerned for our own salvation and the salvation of others. Rather, let us seek God with all our hearts, through His word, and pray for one another. I speak as the greatest hypocrite here, as one who is easily swayed by men, and is often tempted to despair and presumption based on what I read from them. The Lord be with us. Oops, it looks like someone already posted it haha.